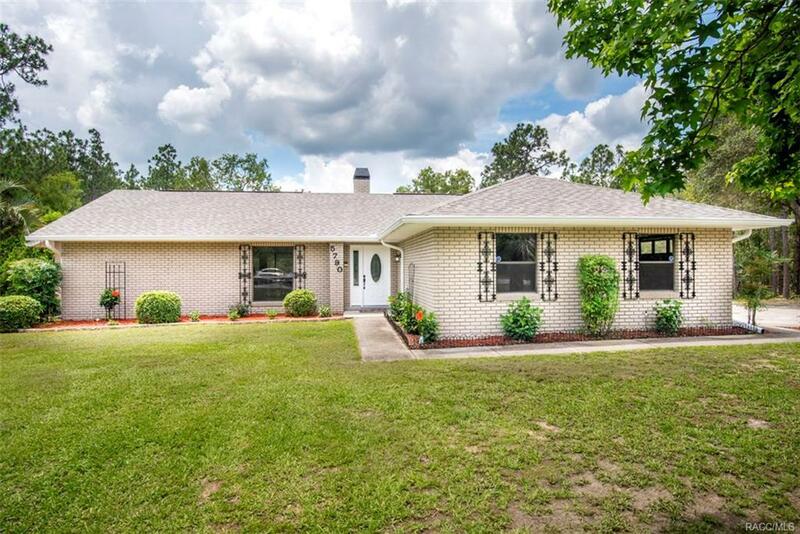 Newly Renovated and remodeled 3BR/2Bath Pool Home in Pine Ridge Estates. This home Features a Spacious Great Room as you walk through the front door with a 2 Sided Wood Burning Fireplace. Brand new HUGE Kitchen with all New Matching Stainless steel appliances and Granite countertops. New wood flooring throughout main rooms and New carpeting in all Bedrooms. Updated Bathrooms. New Roof in 2017. Electric Storm Shutters on lanai. Newly Painted inside and out! Enjoy relaxing or entertaining on your newly resurfaced Lanai and Pool area in your Private backyard on a acre of property. New Water Heater. Well and Irrigation. Horse's allowed and this property has direct access to 28 miles of horse/nature trails to ride or walk. RV/Boat parking! Don't miss out on this Gem! All in Beautiful Equestrian Community of Pine Ridge. Minutes away from shopping, restaurants, fishing, golfing and all amenities!! Live the Florida Dream right here in Pine Ridge. Directions: Pine Ridge Blvd, Turn On Bronco, Left On Wichita, Left On Pawnee To Home On Left. Great Room: 17x11 Brick woodburning fireplace. high ceilings.